What is the idea of perfect date? The answer of this question varies as per the demand of woman you are dating. Gentleman, it is hard to read the mind of a woman because most of the woman are unpredictable. At the same time, it is your chance to impress her and take your relationship further with love and affection. Spending a quality time at an amazing place with the insightful view of surroundings is incomparable. Couples are tend to enjoy the less-crowded and a peaceful place rather than indulging in a crowd of people. However, if you have any plans for visiting Singapore or you’re already living there. There are the places that go perfect with the perfect idea of date in Singapore. Never miss any chance to show some love and affection towards your partner, after all, they are the ones that stand beside when life gets harder and they deserve all the love from you. Some of the mind-blowing attractions in Singapore give amazing couple vibes. So, in this busy world, be the one that value time and spend it with your precious one. Enjoy the list! Enchanting view of the heritage trees and lush greenery. Enjoy a romantic walk with your significant other, while holding each other’s hand. 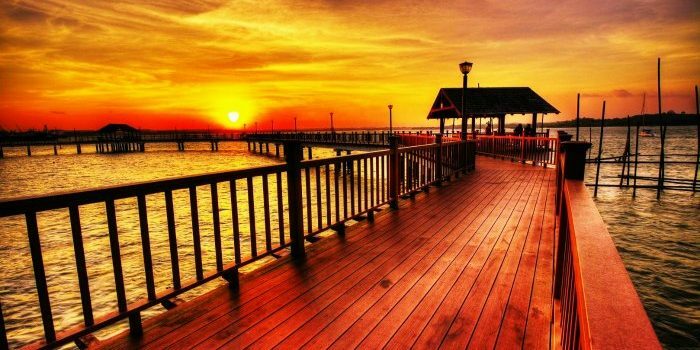 You will feel love in the air by looking at the stunning view of sunset. Well, for the tour you can book a limo service too, call and tell your pick-up to get an amazing ride to your desired destination. This place is famous among wedding photographers but a heaven for couples. The calm and peace in the environment is like a blessing. Enjoy the charm of the place and let it be the most cherished moment for you two. Cruise down at the River. It is another way to shower love on your better half. You can plan your honeymoon trip the bay and enjoy the lovely moments. Celebrate your relationship like never before. It is the prefect idea for an amazing date. Enjoy the cable car ride and reserve a dinner at jewel box. Experience the spectacular view of the city from top. Basically, its selfie time with the city! Avail the chance of the slow stroll around the Marina bay while admiring a 360 view of the city. It is the most romantic place in Singapore. Experience the emotion of the destination and you will cherish it for the rest of life. Relaxed mornings, water sports, park and luxurious spa. What else you want on your date or honeymoon? Isn’t it fabulous to get the all fun, thrill and relaxing environment at one place? So, don’t miss your chance of exploring the peaceful beaches of Santosa because they are the best example of adoration. Make your way to the national orchid garden and discover the enchanting collection of 2000+ orchids. Many companies offer a limo ride to the gardens and you can spend the most memorable day and stroll the lush green beauty of Singapore. Islands are meant to be peaceful and the vibes you get through it are amazing. Don’t make your couple activities about the city life and busy work routine. Get away from the life hassles and spend a day playing with dolphins at St Jhon’s Island. The way our routines keep hitting us, we all need some time to water our relations in best possible way. The mentioned list is about some famous honeymoon destinations in Singapore. They have nearby restaurants and some best hotels of the city. At the end, it is all about the experience, quality and memorable time. So, give yourself a chance to get away from all the hustles bustle of life. These places are worth travelling and the best part is that you can book an amazing limo service in Singapore for your tours with limo6. A Limousine can turn any event into a royal one. If you’re looking for limo service in Singapore, then you must gather some information about the company before booking a ride. It is one of the crucial parts of booking a ride. There are a large number of companies providing the best limo services. Wedding parties, roaming around the city or an airport pick-up. You can always choose the best ride for it. Comfortable transportation along with professional chauffeurs. Well, the most exhausting task is to look for the most reliable limo service around you. Yes, it saves the hassle of the taxi, but planning to reserve a car for events as necessary as much as it requires some research and works on it. However, there are some simple ways to plan a perfect journey. Hiring a limousine will be no more a challenge with the following tips. It might look too much to do, but it is just a mental process. Let it flow and you will never regret your decision. Events are important and one ride can put you in a hassle. So, get it mixed up and plan the transportation as early as possible. Know the time, a number of passengers and the pick-up and drop-off location. Usually, there is 6 seater, 8 seater and minibuses that can be availed in a reasonable amount of cost. Companies have SUV’s and minivans for the events. If you are looking for a royal journey, choose it accordingly. Don’t select on the basis of price, get the one that suits to all your needs and also fulfilling the requirements of others travelling with you. Do they respond quickly and have proper customer support? Someone might say that these things don’t matter, but they matter a lot. There are chances and incidents where you might need to contact customer support and they will guide you through the problem. Second, you need to go through the customer reviews, they are important and quite essential. Getting to know the company through their previous clients is the most essential thing in the process. If you want a loyal and reliable experience then choose a licensed company. Many companies offer digital presence, but they are not registered. So, watch out for the licensed company and ensure their cars are also licensed. This is important, especially when you’re reserving a limo in Singapore for your special occasion. You can’t get mad at the company for not delivering because your requirements were vague and unclear. So, before you go for reservations, make a proper requirement list and convey properly. Moreover, the limo is a great choice to plan your perfect trips and wander around the town on your own convenience and comfort. Limo6 has been serving in Singapore since years and we love making your travel experience more exquisite and memorable.